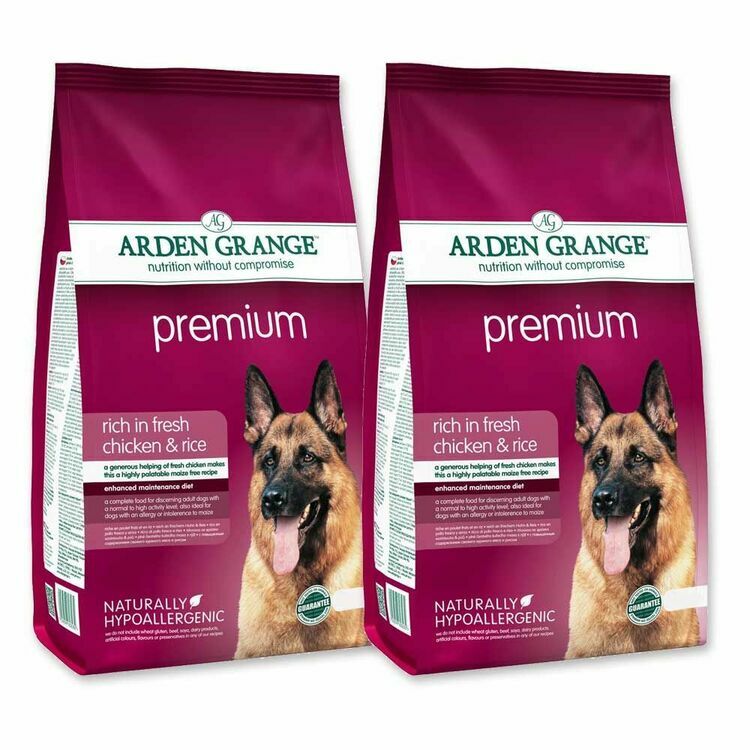 Developed with a perfect blend of protein, vitamins and minerals to match the dietary requirements of an adult dog with an active lifestyle, Arden Grange Premium dog food is a highly palatable and easily digested option that contains a healthy portion of fresh chicken. 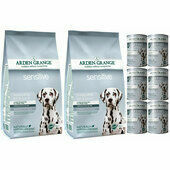 Enriched with antioxidants, Omegas 3 and 6, glucosamine, chondroitin and MSM, this Arden Grange dog food supports the immune system, promote good skin and coat health and to sustain energy levels. 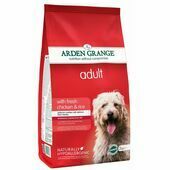 Naturally hypoallergenic, this premium dog food contains nothing that might irritate digestion, trigger allergies or cause troublesome skin conditions such as dairy, wheat gluten, soya, beef, or artificial colours, flavours or preservatives. 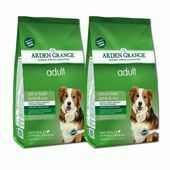 Arden Grange Premium dog food is particularly suited to dogs that need a maize or corn free diet, but has also proven popular for fussy eaters and dogs that need to add weight quickly. 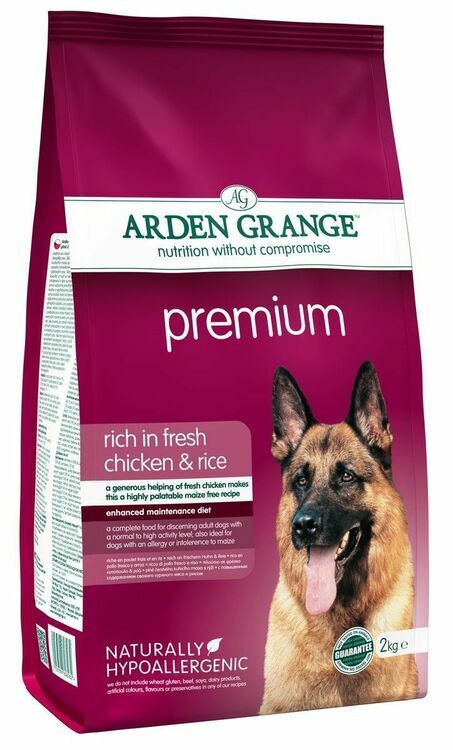 Working dogs and show dogs will also benefit from the good level of chicken. 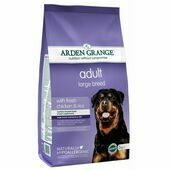 Ingredients: Chicken, (fresh chicken 20%, chicken meat meal 20%), rice, potato, refined chicken oil, beet pulp, whole dried egg, chicken digest, fish meal, yeast, krill, whole linseed, minerals, prebiotic FOS, prebiotic MOS, yucca extract, glucosamine, MSM , chondroitin, cranberries, nucleotides. 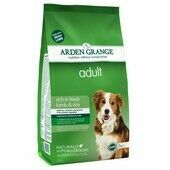 I purchase the Arden Grange multibuy from Pet express because they always have it in stock and the delivery is extremely quick and most importantly it is a very good price. 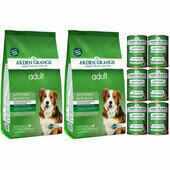 This is an excellent product at the best price I can find. 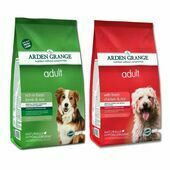 Delivery is extremely efficient after ordering. 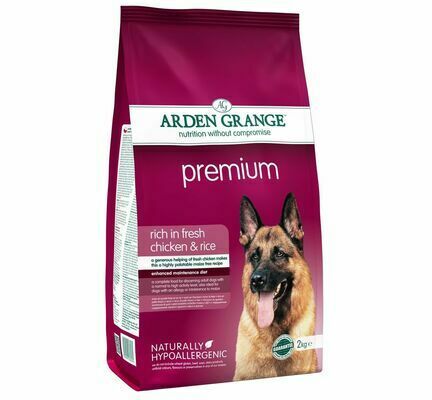 Our dogs have always been on Arden Grange Premium but with the recent change in bag sizes it has been difficult to find it at a good price in our area. 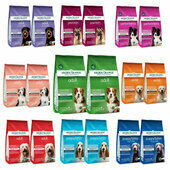 We have tried several online companies and have found them not to be reliable with their delivery times. 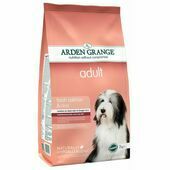 We were really happy to find the Pet Express online having been previous customers of the Ark when we lived in Plymouth. Your prices are competitive and delivery was exactly when you said it would be. We also appreciated the delivery updates thank you!! We will recommend you!